Mercenary will get one map pack that I’ve read about. Any info on when the next patch for Killzone: Mercenary is? I know it is this month though. I think CO-OP should have been the first thing to be released. its the most important reason that made me buy the season pass. I’m pretty sure that Merc is getting TWO new maps, plus an offline bot mode. But I don’t know when. Even after seeing the $9 plus price tag for this game, I am still glad I bought and supported it. I look forward to trying these maps out, and same goes for the AI bot addition. Nice update for Shadow Fall! Any ETA on the release of these first maps? I LOOOOVE Shadow Fall, and have been playing a bunch of multiplayer since launch, so this is a treat for me :D Thanks Guerrilla Games! You obviously didn’t read the article. This is about Killzone: Shadow Fall. I’m hoping to get KZ:SF at some point for my PS4. Right now I’m enjoying Battlefield 4. Hope to pick up KZ:M since its on sale for the 14 for 14 sale! Looking forward to these maps. Guerrilla Games Needs to spice up Killzone’s SF Mp component with some Exo suits, Intruders and some vehicle’s ie Tanks, Apc, ect. Imo it would make the game buckets of fun. Free maps! Free maps! Free maps! Love the freebies! I’m a bit leery of The Cruiser, to be honest. If it’s larger than the Cruiser map DLC from Killzone 2, then I won’t be as leery. By the way, anyone looking for a good group of people to play with should check out RebelAllianceClan.com. We’re also working on a guide for the game, called Killzone 401! Remeber when there was splitscreen in Multiplayer for Killzone? I don’t…Oh wait yeah. There was a console that had splitscreen in multiplayer…what was it, oh yeah, the PS2!!! I mean, jeez…Is it really not possible. Lower the quality, whatever it takes. I’d rather play with my brother than have a prettier game. And if you want pretty, play alone. So…..Killzone 5 we will have Splitscreen again!? It honestly is a deal breaker, and such a pleasant sigh of relief when this feature is included. I’ll even take an offline bot mode for just some fun splitscreen madness, that way the servers are unaffected by frame rate drops and such. Please consider it Guerrila. I love Killzone, and I really do like the multiplayer, but this lack of support…I never play, and quite honestly, the Season Pass I didn’t buy cause the COOP didn’t have Splitscreen either. No interest. I don’t have 2 PS4s. Please consider this in the future if possible. I would love it to make a comeback in a future update. Sounds good and looking forward to them….but a release date would have been nice. 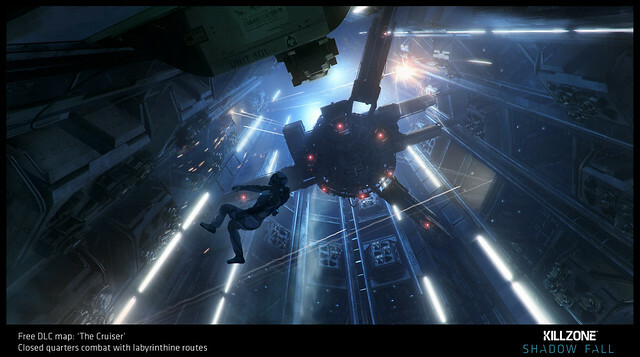 I guess the Cruiser map will be another Sickle heavy Warzone with the ” tight, claustrophobic corridors and interconnected compartments.” We shall see how it all plays out! Am I the only one that hates the Jumping in the MP of Shadow Fall? You jump and your forward movement stops and you just jump up. Also I can’t jump down and shoot someone. If you have someone below you and you jump down to them you can’t shoot until you hit the ground. I still can’t find a PS4 so this Killzone I will pick up in bargain bin. Oh wait I look on Amazon and there selling PS4’s from 600+ glad to see non PS Fans getting a hold of a PS4 and selling it for profit who could of though..
Is the Cruiser similar to KZ 2's? Liked the Single/Campaign play through. Shame there is no more single player / campaign DLC to extend the end. It just seemed too short. I really like Killzone. I wish I could get some contact from there support for my bug though. Can’t unlock to last scope for my last support weapon. Can’t wait though I already have the season pack!!! I love this game!! I wish I had more time in my life to play more lol keep up the good work everyone!! That’s really a good news! Thanks! I can’t for this to finally come out, now I just need to know when he next firmware update is. That’s awesome! Can’t wait to play on these maps when they release. Free map sound sweet! I hope the co-op DLC doesn’t take too long I want to play Co-op so bad! I didn’t buy the season pass, waiting for DLC to be released first. Made that mistake once before… I’M LOOKING AT YOU “The Last of Us”! Are there any updates on clan support? Hey Hey will killzone on psvita free maps pack too? An announcement of nothing. No release date of the maps and NO RELEASE DATE OF COOP. I bought a season pass 2 months ago and still nothing for it? No release dates or anything? wtf, seriously. Haven’t bought the game yet, but I just wanted to say you guys are badasses to release DLC for no cost. Loving Mercenary from the 14 for 14 sale! Excited! But I wish we could get a release date on something , like the Voice packs for female VSA & Helghan , BTW please make Female characters available it would be weird having a male VSA or Helghan and sounding like a female . Yeah the Vita Killzone came out last year and its kinda sad consoles are getting all the support and Vita gets leftovers. I dont want indies games thise arent for me im talkin bout full time support just as much as the pS4 and pther consoles get. 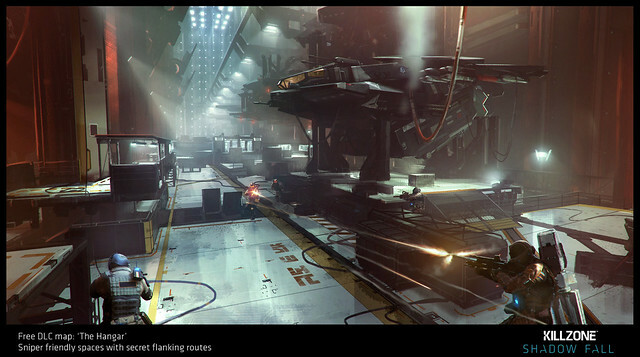 When are these maps being released for Killzone Mercenary!? KZ SF has been a huge disappointment. Killzone 3 was a better game. The bolt action sniper in KZ SF is slow and awful and encourages a campy style gameplay. The slow, blocky, movement in the game is annoying. Want to improve the game? Add the VC-32 back in. For the life of me I can’t figure out why I haven’t sold my copy of KZ SF. I guess because there are so few PS4 games.